Dark black ruby color. Aromas of black cherry, black currant, and huckleberry with a silky, soft, dryish full body and a tingling, charming, medium-long blackberry custard, vanilla, and raspberry compote finish with silky tannins and heavy oak flavor. This blend is silky-smooth and ready-to-drink. Bottom Line: This blend is silky-smooth and ready-to-drink. 85 • Black’s Station 2015 Estate Grown, Chardonnay, Dunnigan Hills 13.9% (USA) $12.00. 87 • Black’s Station 2014 Red Blend, Yolo County 13.9% (USA) $12.00. 89 • Black’s Station 2014 Cabernet Sauvignon, Yolo County 13.9% (USA) $12.00. 89 • Black’s Station 2014 Malbec, Yolo County 13.9% (USA) $12.00. 90 • Black’s Station 2016 Chardonnay, Yolo County 13.9% (USA) $12.00. 93 • Chasing Venus 2015 Sauvignon Blanc, Marlborough 13% (New Zealand) $16.00. 93 • Chasing Venus 2016 Sauvignon Blanc, Marlborough 13% (New Zealand) $16.00. 87 • Matchbook 2015 Rose of Tempranillo, Dunnigan Hills 13.9% (USA) $12.00. 86 • Matchbook 2012 Tempranillo, Dunnigan Hills 13.9% (USA) $15.00. 86 • Matchbook 2012 Syrah, Dunnigan Hills 13.9% (USA) $16.00. 89 • Matchbook 2014 Cabernet Sauvignon, Dunnigan Hills 13.9% (USA) $15.00. 89 • Matchbook 2015 "Old Head" Estate Bottled, Chardonnay, Dunnigan Hills 13.9% (USA) $15.00. 90 • Matchbook 2012 Tinto Rey, Dunnigan Hills 13.9% (USA) $17.00. 87 • Matchbook 2013 Syrah, Dunnigan Hills 13.9% (USA) $16.00. 86 • Mossback 2014 Pinot Noir, Central Coast 13.9% (USA) $18.00. 93 • Mossback 2014 Pinot Noir, Russian River Valley 13.9% (USA) $25.00. 84 • Mossback 2014 Chardonnay, Russian River Valley 13.9% (USA) $18.00. 90 • Mossback 2013 Cabernet Sauvignon, Chalk Hill, Sonoma County 13.9% (USA) $25.00. 92 • Mossback 2014 Cabernet Sauvignon, Chalk Hill, Sonoma County 13.9% (USA) $25.00. 92 • Mossback 2014 Pinot Noir, Russian River Valley 13.9% (USA) $25.00. 88 • Mossback 2016 Chardonnay, Russian River Valley 14.2% (USA) $18.00. 87 • Sawbuck 2014 Chardonnay, California 13.9% (USA) $10.00. 89 • The Arsonist 2014 Chardonnay, Dunnigan Hills 14.3% (USA) $22.00. 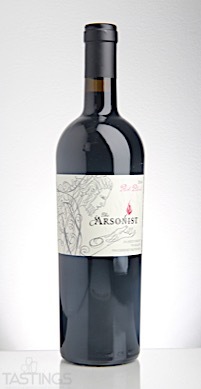 88 • The Arsonist 2014 Red Blend, California 14.3% (USA) $22.00. 88 • Tinto Rey 2014 Verdejo, Dunnigan Hills 14.3% (USA) $18.00. A Bordeaux varietal red is made from as many as five approved grapes in the region: primarily Cabernet Sauvignon, Merlot, Cabernet Franc with lesser amounts of Petit Verdot and Malbec. 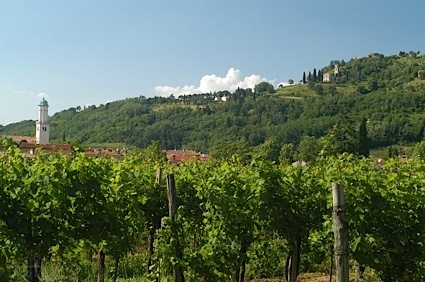 These wines can have one, two or even all five in the blend; this assembly of varietal produced wines of greater complexity with various fruit flavors, tannin levels, color and spice. These Bordeaux varietal reds range from lighter-bodied examples simply designated as Bordeaux or Bordeaux Superieur, which are meant for consumption within their first three to five years to the classified growths, owned by wealthy Bordelaise, who craft very expensive wines that can age for several decades. The Arsonist 2014 Red Blend, California rating was calculated by tastings.com to be 88 points out of 100 on 7/19/2017. Please note that MSRP may have changed since the date of our review.